The Chippy Fish & Grill in California offers only the highest quality ingredients and prides itself for fresh, simple, and healthy eating. Our foods are made to order, and served timely to provide warm, gourmet, and a memorable seafood dining experience. Our fish and chips are cooked using unique family recipes from the United Kingdom that is healthier and lighter than most traditional cooking methods. We use large, top-quality generously cuts of fresh fish, dipped in lightly seasoned batter containing only zero trans fat soybean oil, served up crisp, light and golden brown. Topping this off, lemon, malt vinegar and homemade tartar sauce will surely leave your taste buds smiling! Our grilled and foil-wrap baked fish, although takes a few more minutes to prepare, will certainly give you that fine-dining experience at a fair price. For those who want something other than our fresh fish, we also offer Jumbo Shrimp, Shrimp Po-Boy Sandwiches, Garlic Butter Shrimp, Chicken Salads, Fish & Shrimp Wraps, as well as other rotating special dishes, such as Baby Back Ribs, Jambalaya, and much more. 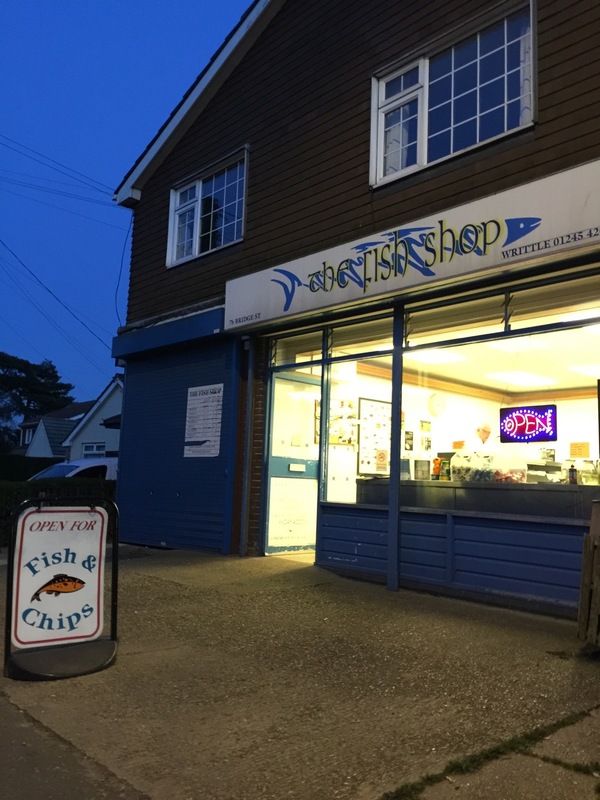 In the early 1980s, our family established our first Fish, Chips, & Grill restaurant by the name of "The Fish Shop" in Chelmsford, England. Over the past 30+ years and with the deepest gratification to our loyal customers, we have expanded to 7 restaurants throughout United Kingdom. Our vision is simple, provide a great seafood dining experience. In 2007, during the recession, using our family recipe from England, we found our first Fish & Grill restaurant in Irvine, California. The times were difficult, but with the support of our customer base, we thrived and further refined our food menu to better serve our California customers. In 2014, we opened our second restaurant in Anaheim, California. Located inside the historic Anaheim Packing House, we now provide not only that fine seafood dining experience, but also entertainment and business venues for your entire family, friends, and work events. During weekdays, many local professionals chose our location to conduct lunch or dinner business meetings. On weekends, visitors can enjoy live music, planned events and much more. In the evenings, families can even view the nightly firework show at Disneyland (only a mile and a half away), while enjoying our award-winning food – a truly memorable experience. WANT TO BE ON OUR EMAIL LIST? PLEASE CLICK HERE. 2015© The Chippy Fish & Grill. All rights reserved.